Thanks to this month’s Biz picks for new and intriguing reads, you’ll be sure to stay on top of your game whether you’re looking for leadership inspiration, how to grow your revenue or climb the ladder. Dale Carnegie’s common sense approach to communication has lasted generations, but now the guide has been “rebooted” for modern times. His advice covers how to make people like you, project your message, and become a more effective leader. This updated fifth edition of the popular strategy guide by Jason Kelly offers a clear, concise and effective approach to stocks and investing, including an interview with Legg Mason portfolio manager Bill Miller on what he learned from the crash and recovery. Fans of the show Mad Men will enjoy this look at agency life on Madison Avenue, from an ad woman’s perspective. Jane Mass—a real-life Peggy Olson—shares her own experiences rising from copywriter to agency officer at Ogilvy & Mather. Even when you’re on the go or operating from multiple locations, face-to-face meetings are still highly important. These video chatting services can help keep you connected, no matter where you are. 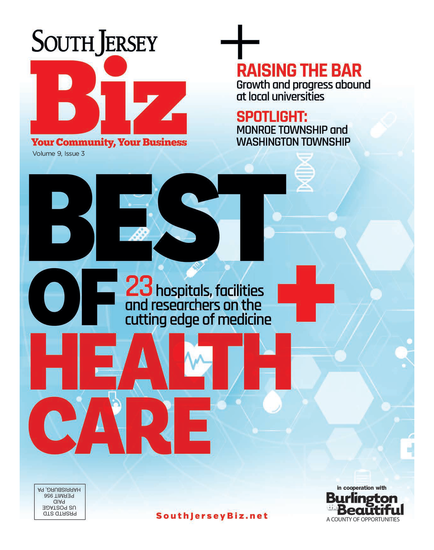 2% : Amount of respondents that feel the local economy is improving, according to a recent survey of South Jersey and Philadelphia business clients and CFOs. 85 percent: Number of people that approve of Gov. Chris Christie’s response before and after Hurricane Sandy, according to a survey by Alloy, Silverstein, Shapiro, Adams, Mulford, Cicalese, Wilson & Co.
$60 million: Amount Atlantic City’s Resorts Casino is spending to reinvent itself as Margaritaville, a Jimmy Buffett-themed casino. $1,000,000 — Grant awarded to South Jersey Healthcare, Cape Regional Medical Center and Shore Medical Center, collectively forming the NJSHINE nonprofit, to build a new digital network that will improve access to electronic patient data. Published (and copyrighted) in South Jersey Biz, Volume 2, Issue 1 (January, 2013).